Albion changed their primer, Albion Force Repair Base to Albion Repair Perfection Base. I prefer using sunscreen of ADDICTION Skin Protecter as my foundation primer in Summer, but I sweat a lot, it is easy to run out. Ah, where is the strong sunscreen effect with no stinger on my skin, less perfume, and good as under foundation! When I went to Albion store for you, the customers, I got a sample of Albion REPAIR Perfection BASE. Ah, do you know what we Japanese call “Base”? It is a primer. This Albion REPAIR Perfection BASE is a foundation primer. 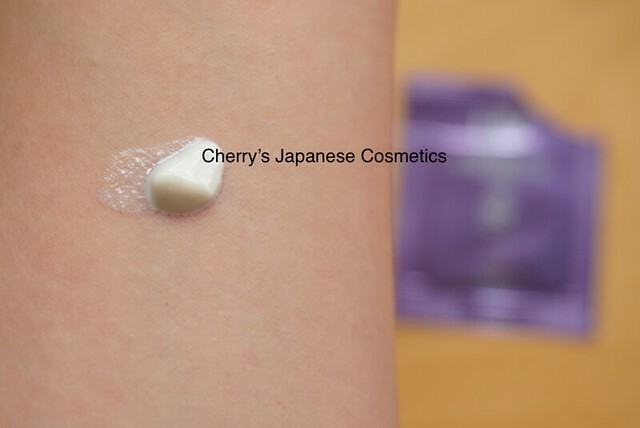 It is not a harder product, and it melt on my arm so easily. 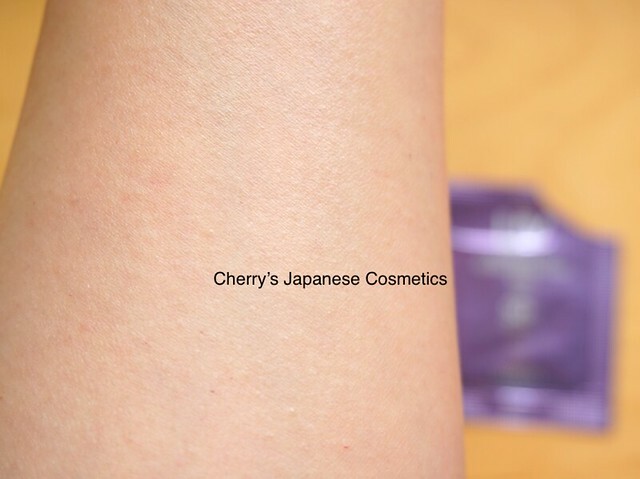 The finish, this product does neither change my skin torn nor color. If you are looking for something to let your skin torn brighter or make even skin torn or cover your pores, this is not for you. This product is a little bit oily, as other sun screen, my skin is a little bit shining in my eyes. On my face, it is the problem that I often feel stinger by sunscreens. I had thought sunscreens are such products, but after knowing ADDICTION Skin Protector, I found I have no need to bare the sting by sunscreens. Applying this foundation primer, I found there are no stings on my skin and eyes. That’s good news. To be honest, I feel this is a little bit oily, and I feel this is not for the person with oily skin. For me, hmm not for Summer. I need to say it run out easily. I should better to use on Autumn – Spring. Totally to say, excluding this perfume, I really liked it. Please check the latest price, and order from here; Albion Force Repair Base, or order in JPY Branch! Awake Mineral Black removes pretty well with clean scent!